Are you looking to do negative testing? You can likely do that in the same test using data sets and the IF component + status codes. Are you looking to run from different environments? No problem with Presets. If you still wish to copy a test, the procedure is as follows. First, enter the project and test. 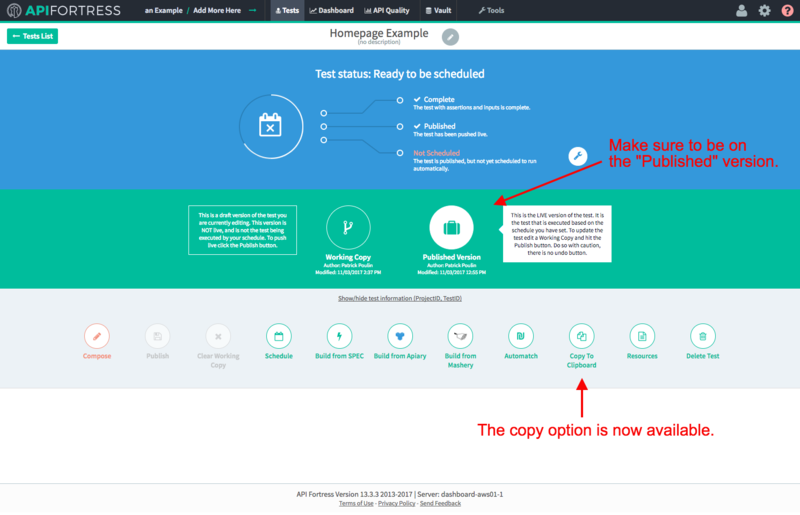 Then click over to the Published version of the test, then the Copy to Clipboard option becomes available. 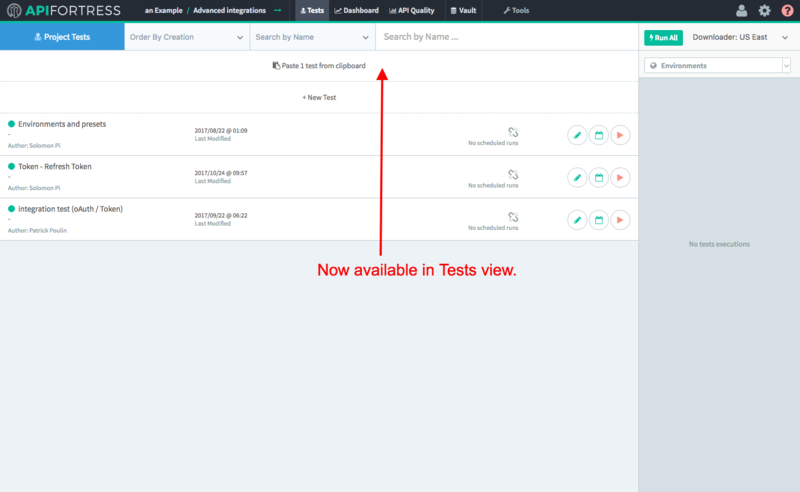 Click Copy to Clipboard and then browse to the Tests view of the same, or another project. There Paste from Clipboard becomes available. So here is that entire adventure in video form.